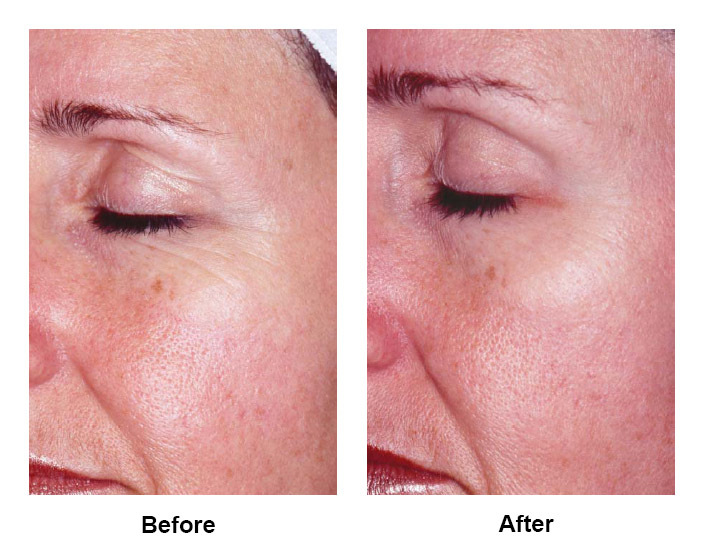 Unfortunately as we age, yucky brown spots begin to appear on sun-exposed skin. Most of us are aware of the extreme importance in protecting our faces from the sun; however, other neglected parts of our body (such as our hands) may not receive the same attention and protection. The result? Ugly, aging hands that do not match the rest of your beautiful skin. Our hands do most of the dirty work from our daily activities and deserve some special attention too! There are many techniques to help rejuvenate the hands including lasers, chemical peels and fillers. Fillers can be injected under the skin of the hand to plump up the skin to help hide veins and tendons. For a less invasive approach we recommend one of our 3 peels to decrease hyperpigmentation, fine lines, and coarse wrinkles. The patented technology in these peels allows key ingredients and nutrients to penetrate deep into the skin, rejuvenating beyond the surface of the skin, for a cellular transformation and true, lasting results! 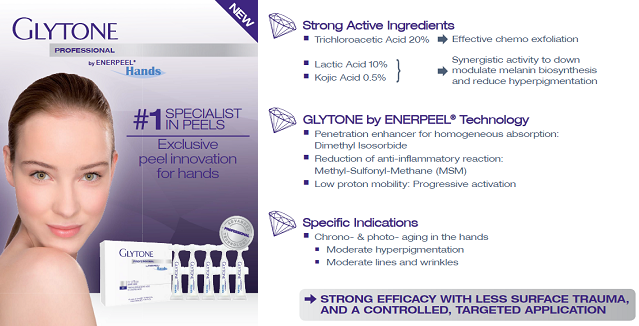 We offer a variety of medical grade peels at our office, but for hands, we recommend Glytone Hands by Enerpeel®, which is specifically indicated for photoaging of the hands. The Glytone Hands peel by Enerpeel® exfoliates, renews, and hydrates, allowing your hands to take on a brighter and more youthful appearance. Lumiquin specifically focuses on evening out skin tone and treating brown spots on the hands and arms. This specialty formula contains Mytrothamnus Flabellifolia, a Quintic Acid ester known to inhibit stress-related signs of aging, great for treatment and prevention! Lumiquin is also formulated with naturally derived moisturizers to hydrate the skin and effectively fade age spots, dark spots, and melanin deposits. Lumiquin is not only brightens, but also PLUMPS the hands, making them look and feel absolutely amazing! This formula is packed with antioxidants, including THD Ascorbate, the most bio-availible form of vitamin C, which will support the skins natural barrier against environmental stressors – can’t get much better than that! Combining the Glytone hand peel with Revision’s Lumiquin for maintenance will give you optimal results and help your hands look DECADES younger! Come see us and rejuvenate your hands from the inside out! We would love to put together a discounted hand rejuvenation package individualized for your specific needs! Click here to check out Revision Skincare’s latest promotion! In addition, mention this post and receive an extra 15% off of a Glytone hand peel AND a bottle of Revision’s Lumiquin! Call us at Sugar Land Plastic Surgery to make your appointment today! 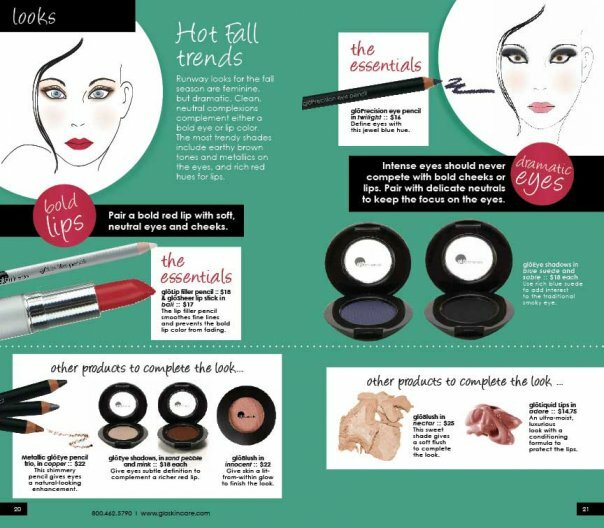 Hot Fall Trends with Glō Minerals Make-Up! Neocutis uses the most advanced biotechnology for your skin by obtaining a naturally balanced mixture of crucial skin nutrients. This mixture is known as PSP®, which stands for ‘Processed Skin Cell Proteins’, and it is a scientific breakthrough that has raised the standards in anti-aging products. So what makes PSP® so awesome for aging skin? Well, actually, PSP® was originally intended for wound healing and skin rejuvenation in burn victims to help heal burn wounds and prevent scarring. Like aging skin, wounded skin loses the ability to reproduce collagen, causing cellular turnover to slow down immensely. So when scientists saw the effect PSP® was having on wounded skin, they put it to the test for aging skin as well. This allowed growth factors and other cytokines to interact synergistically in order to initiate the wound healing response in aging skin. The result? Improved elasticity, drastic improvement in skin texture and hydration, with added protection for any future damages! The bio-mimetic peptide helps maintain youthful and healthy looking skin by inhibiting those enzymes that cause our skin to degrade and age. This peptide, along with vitamin C and a combination of hydrating Glycerin and Hyaluronic Acid, help instantly plump and smooth the skins surface. These factors work with Pullulan (a polysaccharide polymer), to form mature collagen bundles directly below the skins surface, giving your face a skin tightening appearance. Come discover the secret to maintaining beautiful, youthful skin today! Until the end of November, receive 10% off your order when you purchase 3 or more skin care products, so hurry and come see us! 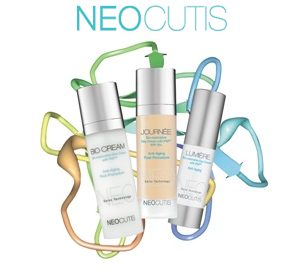 Check out these clinical studies provided by Neocutis Pharmaceuticals, the results are absolutely amazing! Still working on that perfect beach bod? Well aren’t we all? If surgery is not something you are interested in, tweaks to your diet may be all you need. Recently undergone a tummy tuck or liposuction? Make sure you are able to achieve your maximum results with a proper balanced diet. Whatever your situation may be, try incorporating these five ‘bellyblaster’ super-foods into your diet and exercise regimen. How they do it: Jalapeños contain capsaicin, a compound that is solely responsible for converting stored fat into energy. Researchers at the University of Maryland recently discovered the jalapeño’s are capable of raising an individual’s metabolism by 25% for 3 hours after ingestion! They are also great for suppressing appetite because they are so spicy. What they do: convert the metabolic pathway of adipose cells to apoptosis. Translation-they literally make fat cells self-destruct. They also suppress appetite. How they do it: a study conducted at the University of Milan discovered that shrimp increases our bodies ability to burn fat by over 200% by increasing leptin production. Leptin a crucial fat burning hormone; it is also the hormone that signals our bodies that we are satisfied and to stop eating. How they do it: just one serving of this super vegetable contains enough sulfur to activate key detoxification enzymes in our liver. These enzymes convert fat deposits and toxins into water-soluble molecules that can easily be flushed and eliminated from the body. How it does it: coconut oil is very rich in medium-chain fatty acids (MCFAs) which amp up the production of T3. T3 is a hormone produced by the thyroid and is responsible for boosting out metabolism significantly. Many individuals with thyroid issues are lacking this key hormone, which unfortunately leads to potential weight gain. Try swapping butter and oil for coconut oil the next time you cook or bake, you can barely taste the difference! How it does it: the polyphenols in green tea activate the fat burning enzymes in fat cells. Making it iced has even greater benefits! 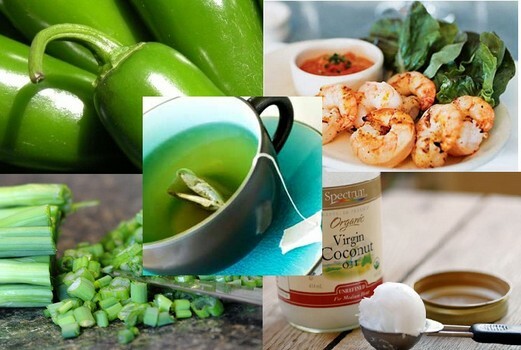 Sipping 3 cups of iced green tea daily can DOUBLE your weight loss on any diet plan. Also, adding lemon helps boost the absorption of green tea’s active fat-burning ingredients by over 75%! Have a certain area of concern? Come see us at Sugar Land Plastic Surgery to discuss all of your surgical and cosmetic options with Dr. Nguyen and his staff!